Smelly Mattress? You Need a Mattress Deodoriser Spray! As a nation we love our beds. The average person spends at least 8 hours a day in bed, sleeping, watching tv or eating. That’s 236,520 hours in a lifetime! In short, we love our beds and the feel of new sheets or clean bedding. But, and it’s a big but, we don’t like washing our bedding. As we go about our hectic day to day lives; certain jobs get forgotten about or get shunted to the bottom of the to do list. Down at the bottom of the list, along walking the dog and mowing the lawn is washing the bedding. In theory, we should be washing our bedding and mattress every time we get out of it. You wouldn’t work out in the gym for 8 hours and then go to work in your sweaty gym clothes! We all know this isn’t feasible and this is where Bed Fresh comes in. A biological mattress deodoriser spray that can be used every day on both bedding and mattresses. 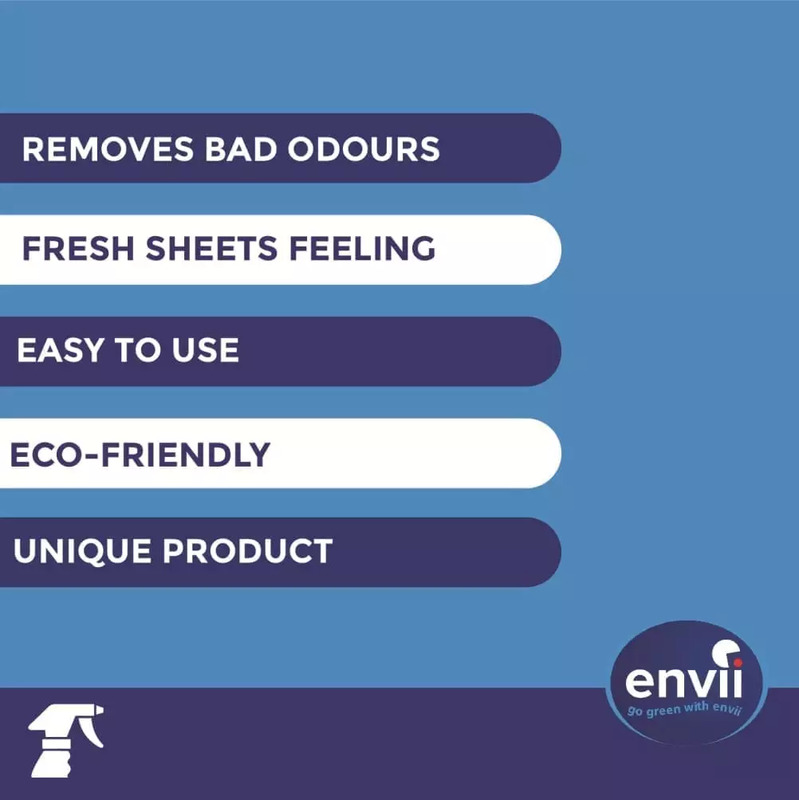 It eliminates stains and odours caused by sweat, urine and oils. How to Freshen a Mattress? Bed Fresh contains a blend of beneficial bacteria and enzymes to freshen your mattress. The spring flower fragrance encapsulates the odour in an invisible force-field which allows the enzymes to then begins breaking down the odour and cutting it up into smaller pieces. This then allows the bacteria to digest the odour and leave behind just the fragrance. Included in the spring flower fragrance is an extract of lavender. As well as producing a pleasant fragrance, lavender has been proven to help you sleep better. This making this mattress deodoriser spray a dual purpose must have for anybody who appreciates personal hygiene and sleep. Simply peel back the covers, give the bed a good spray and let Bed Fresh spend the day cleaning your bed. As Bed Fresh is a natural, biological product, it is safe to be used around children and pets. We do, however, recommend keeping it out of the reach of children. Use Bed Fresh every morning to cut down on the amount your bedding needs washing! It contains various floral scents, including lavender to improve sleep better. Can this be used on foam mattresses and toppers? Yes, Bed Fresh can be used on any mattress, toppers, or bedding. A high-strength and professional grade grease trap treatment that has specially selected blend of bacteria and enzymes that quickly dissolve fat, oil and grease found in your traps. Safe to to use in grease traps, drain line and septic tanks.